WHAT WILL HAPPEN IF A CELL IS PLACED IN SOLUTIONS OF DIFFERENT CONCENTRATIONS? AFTER THE LAB ACTIVITY COMPLETE THE DOCUMENT ON MANAGEBAC AND SUBMIT IT. U-1. Phospholipids form bilayers in water due to the amphipathic properties of phospholipid molecules. U-3. Cholesterol is a component of animal cell membranes. Cholesterol is a component of the animal cell membrane. It is a type of lipid, and is called steroids. 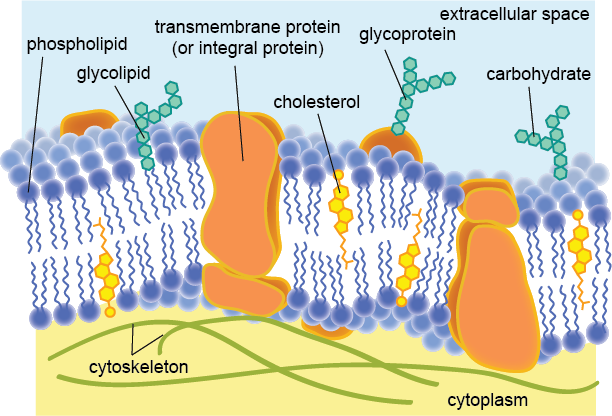 Most of the cholesterol molecule is hydrophobic and therefore embeds within the tails of the bilayer. 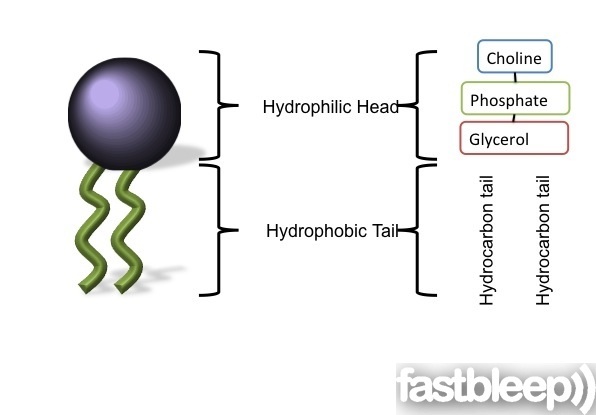 A small portion (hydroxyl –OH group) is hydrophilic and is attracted to the phospholipid head. 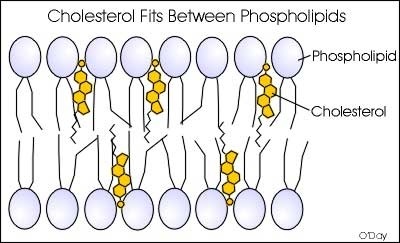 These cholesterol molecules are positioned between the phospholipids in the membrane. fluidity and permeability to some solutes. While cholesterol adds firmness and integrity to the plasma membrane and prevents it from becoming overly fluid, it also helps maintain its fluidity by disrupting the regular packing of the hydrocarbon tails. At the high concentrations it is found in our cell's plasma membranes (close to 50 percent, molecule for molecule) cholesterol helps separate the phospholipids so that the fatty acid chains can't come together and crystallise. The amount of cholesterol in the membrane varies depending on the function- in the membranes of the vesicles that hold neurotransmitters at synapses there are about 30% of cholesterol. 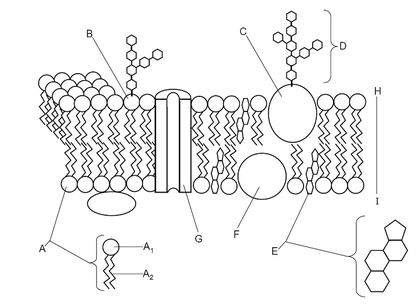 Cholesterol can help membranes to curve into a concave shape, like forming vesicles. SKILL: Drawing the Fluid Mosaic Model.